We are breeders of champion Havanese show dogs and precious family pets. TigerLily puppies represent the best of our breed in temperament, soundness and conformation. Parent dogs are AKC Champions that have undergone rigorous health testing procedures including CERF, BAER, OFA hips and patella’s. Pet puppies are occasionally available, vet checked for excellent health and sold with limited AKC registration on spay/neuter contracts to carefully screened homes. Puppies are never raised in a kennel---they are part of our family and raised in our home with plenty of love and socializing. We do not ship puppies. 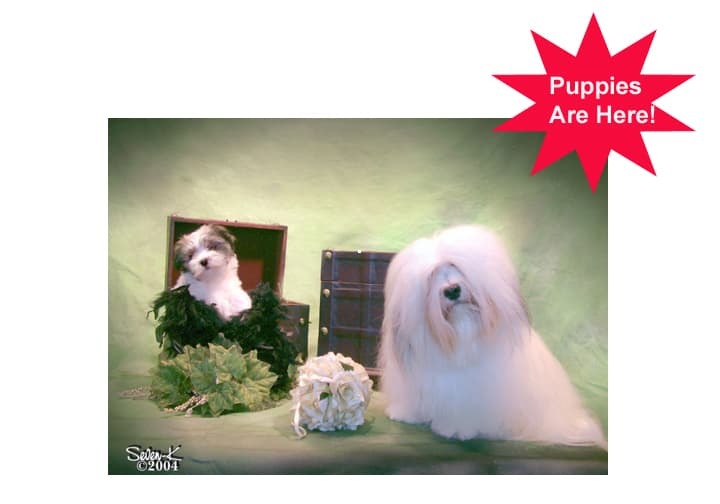 We are members of the national Havanese Club of America, and the regional Lonestar Havanese Club and Red River Havanese Club in the Texas area. "The Havanese is a small sturdy dog of immense charm ... A native of Cuba, he has evolved over the centuries from the pampered lapdog of the aristocracy into what he is today - the quintessential family pet..."